Name card holders are a great accessory to add to any locker order. Mostly popular with primary and secondary schools to identify lockers. They can also be used in offices, reception areas and staff rooms. 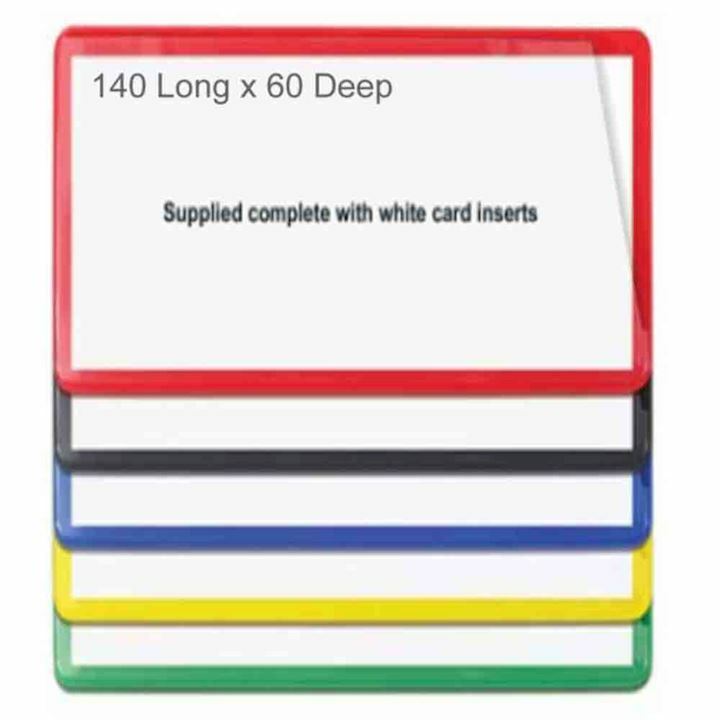 Our card holders come in a range of sizes and colours including red, blue, yellow and black. They are fully self-adhesive, making them easy to stick onto locker doors. They are supplied with blank white card inserts to allow a name or number to be printed onto the card and inserted into the magnetic cover. A clear PVC front comes as standard. The pouch opens at the top and side for easy access to the insert. Name card holders are available to buy on line where you can personalise the size and colour to suit your requirements.